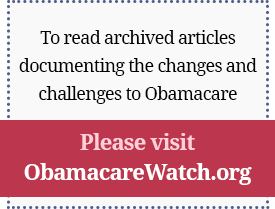 The purpose of this paper is to describe why the health insurance exchanges defined in PPACA won’t work, won’t increase access to affordable health care, and won’t do anything to improve health outcomes or increase value. The solution to affordable coverage isn’t to be found in these new bureaucracies, but rather in reducing barriers to competition and consumer choice and removing regulations that make coverage unaffordable today. This paper explains the problems states will face if they go down the path of creating health insurance exchanges. A subsequent paper will offer recommendations on a framework for finding the right solution for states’ unique needs.